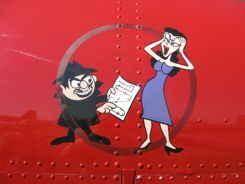 Boris and Natasha? 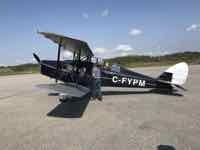 Since when was an aerobatic routine a secret? 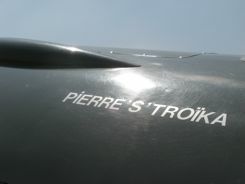 OK... so there's not a lot of nose art here, but Pierre's Troika made us smile... Oh, those French! 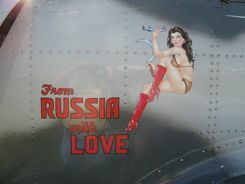 We're been seeing some fun Yak nose art at air shows we've been to. Yaks don't seem quite as exotic at American air shows anymore... there are a fair number of them showing up, but they're still fun to see. We saw some of this in Oshkosh 2010, and we saw some at Le Ferte Alais in France earlier in the year. Whether in France or the U.S., these examples of Yak nose art seem to show a sense of humor. There's not too much to tell you about this... just that we got a kick out of all of them. It's just plane fun to see all the creative ways pilots name their planes. 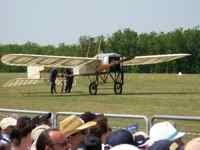 I'm working on getting a page up about the great French airshow in Le Ferte Alais. In the meantime, hope you get a kick out of these photos too.